Who doesn't love shortbread . . . add chocolate . . . a wee bit of expresso . 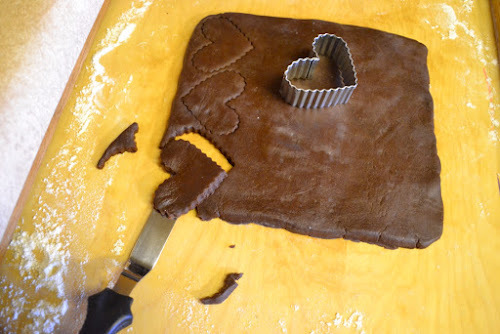 . . and a smidgen of cinnamon and you have a great cut-out cookie to make bears, dinosaurs, Christmas trees and beautiful Valentine cookies! This chocolate cookie isn't just any chocolate cookie . . . The blending of Dutch Cocoa with coffee and a touch of cinnamon gives this little cookie an incredible depth of chocolate flavor that will have you swooning! It's always fun to make a tasty treat for your special Valentines! 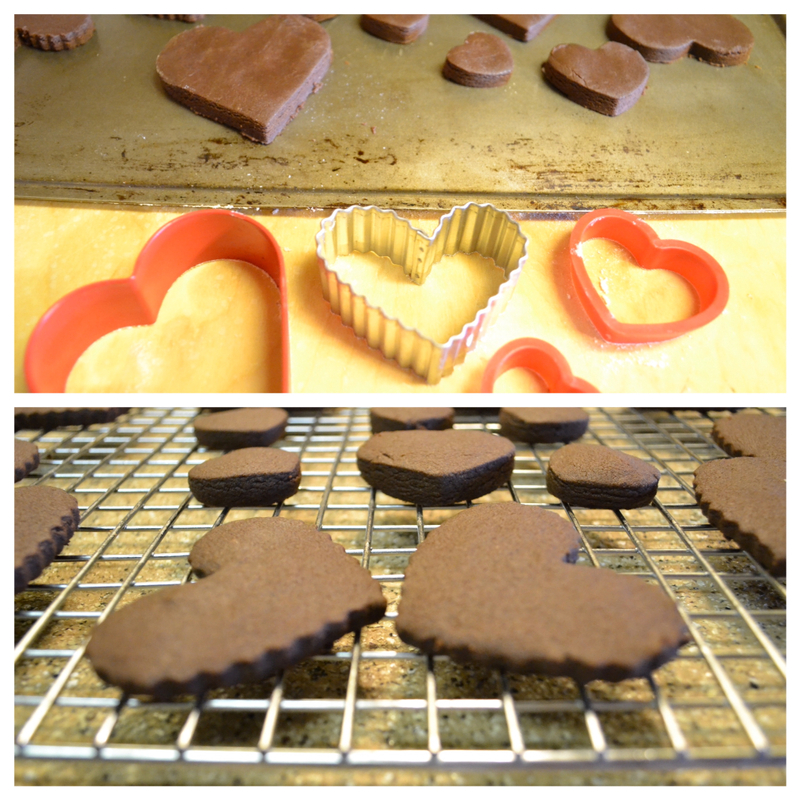 My Valentine is a chocolate lover, so this special shortbread cookie is a great way to say, "I love you"! It only takes 6 ingredients to make these decadent cookies, 8 if you decide to dip them in melted chocolate (which I think is a stellar idea!). 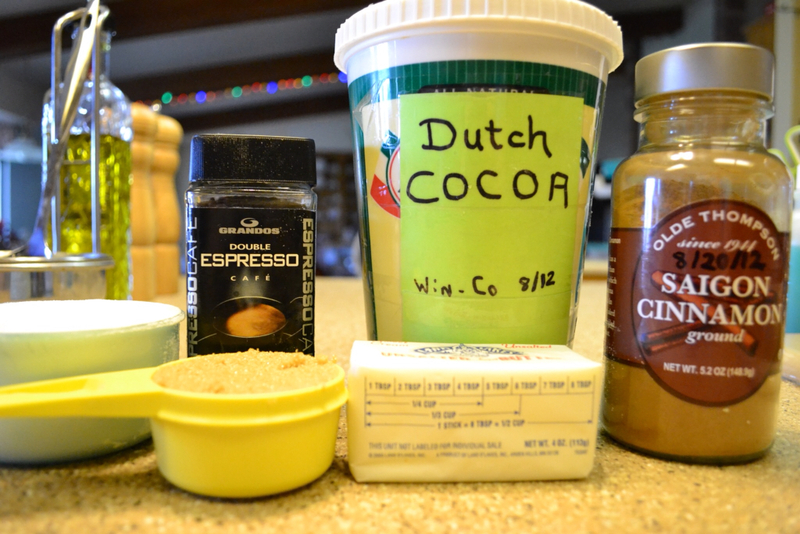 Stay tuned for my upcoming post on DIY Mocha Lattes . . . The perfect partner for the perfect cookie! Just add his/her favorite cuppa tea, coffee or maybe a homemade Mocha Latte! In a large bowl whisk together flour, brown sugar, cocoa powder, coffee or expresso crystals, and cinnamon. Using a pastry blender, 2 knives, or a food processor cut in butter until it resembles fine crumbs. With hands, knead dough until it forms a smooth ball. On a lightly floured surface roll dough 1/4-inch thick (about 9 x 8 inch rectangle). 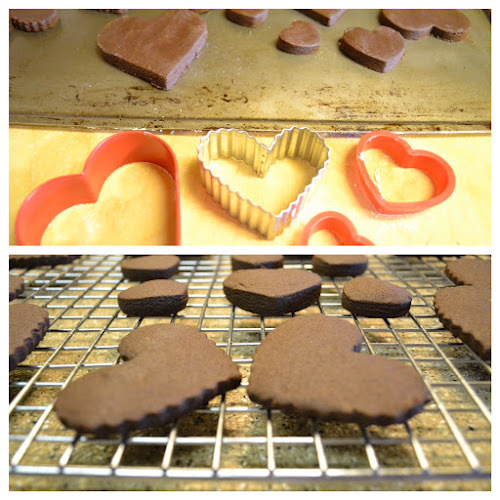 Use various heart shaped cookie cutters to cut out dough, rerolling as necessary. Place 1-inch apart on an ungreased cookie sheet. Bake 12-14 minutes, or until edges are set and tops appear dry. (Mine were done in 12 minutes). *Melt chocolate together with 1 teaspoon of coconut oil in a double boiler or microwave oven 20 seconds at a time, stirring between each 20 seconds. 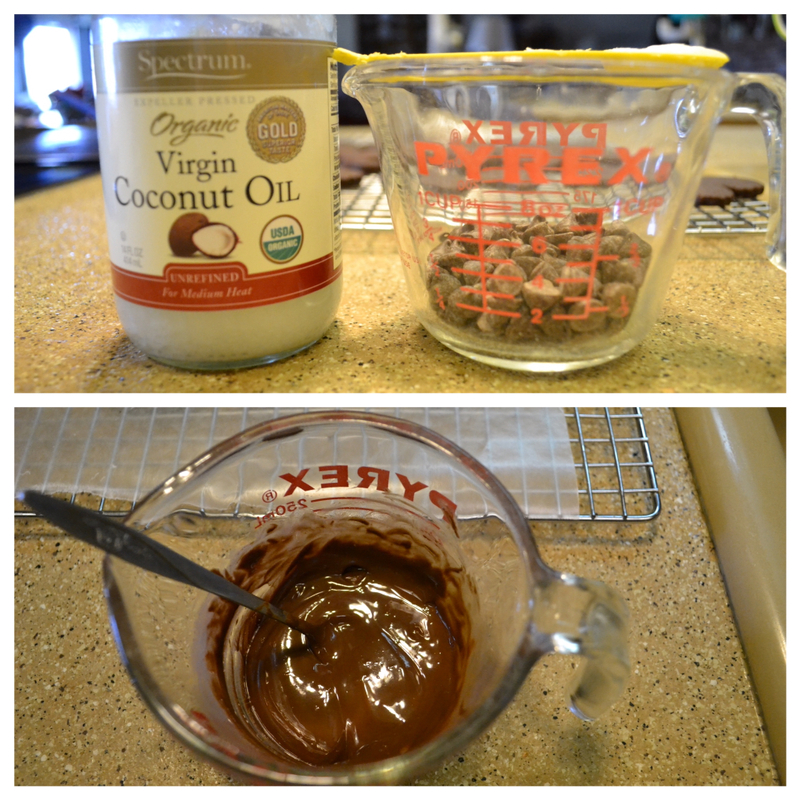 (It took 5 times of hitting 20 seconds, and stirring for the chocolate to melt for me). Dip a side or tip of heart in chocolate; scrape excess chocolate off the back. 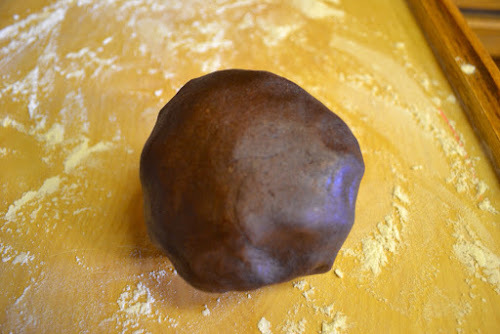 Place on waxed paper lined baking sheet and refrigerate for 45 minutes to set the chocolate. 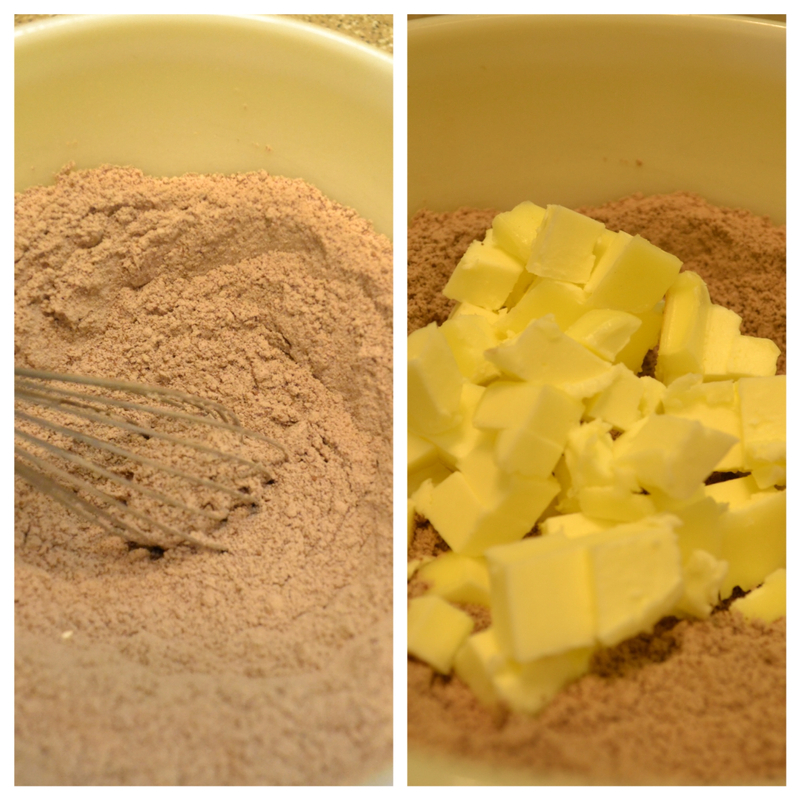 Whisk dry ingredients together ~ Cut butter into dry ingredients. Knead dough into a smooth ball. 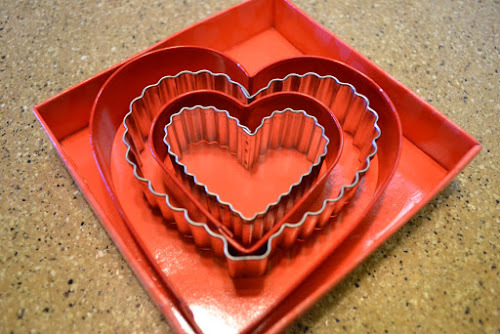 Roll out dough to 1/4-inch ~ Cut out different sized hearts. Bake cookies 12-14 minutes ~ Cool on wire rack. Dip a corner or side in melted chocolate ~ Melt chocolate in double boiler or in the microwave at 20 second intervals, stirring every 20 seconds until melted. This cookie dough is quite delicate, so use a gentle hand when rolling out. I kept a pastry brush handy to brush away any white flour still on the cookies after I cut them out. Also, it's helpful to use a offset spatula to pick up the cut-out cookies when transferring to your baking sheet. These crisp, buttery, chocolate shortbread cookies are so easy to make! 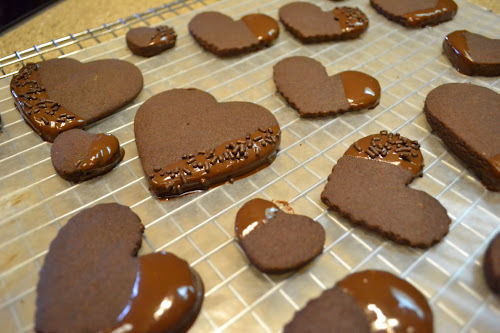 Prep time only takes 15 minutes, double the recipe if you have lots of chocolate lovers to wish Happy Valentine's Day to. Hope your Valentine's Day is filled with love, hugs, kisses and . . . lots of Chocolate Shortbread . . .
XXXX's from Over at Julie's!!! 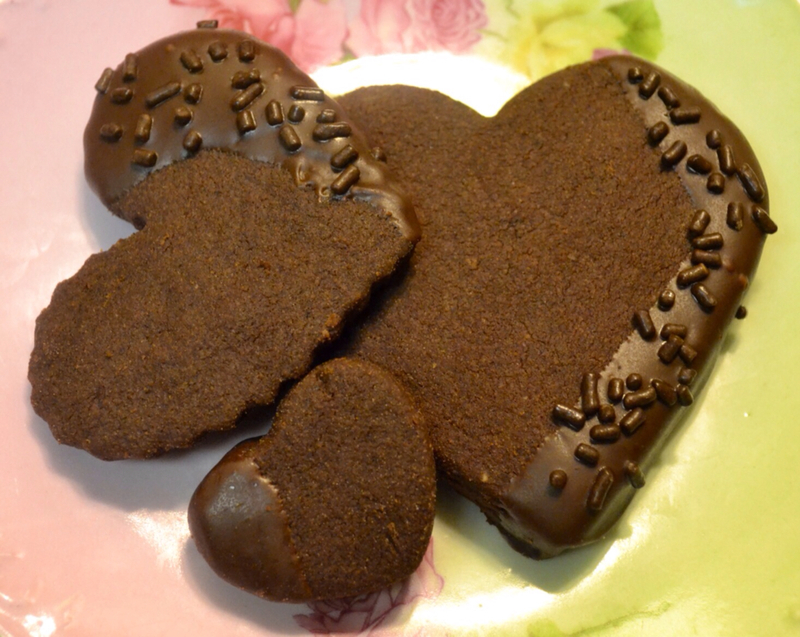 Nothing says, "Happy Valentine's Day" like a Chocolate Shortbread Heart! Is it okay to leave out the coffee? We don't drink coffee in my house but I don't really like to give these a try. No, you don't have to add the coffee . . . It does add a depth of flavor though. I have a small jar of instant coffee and instant expresso in my freezer door that I only use for baking. I know you'll love these cookies! Just remember, the dough is quite delicate, so use a gentle hand with the rolling pin and pat it with your hands to straighten the edges.